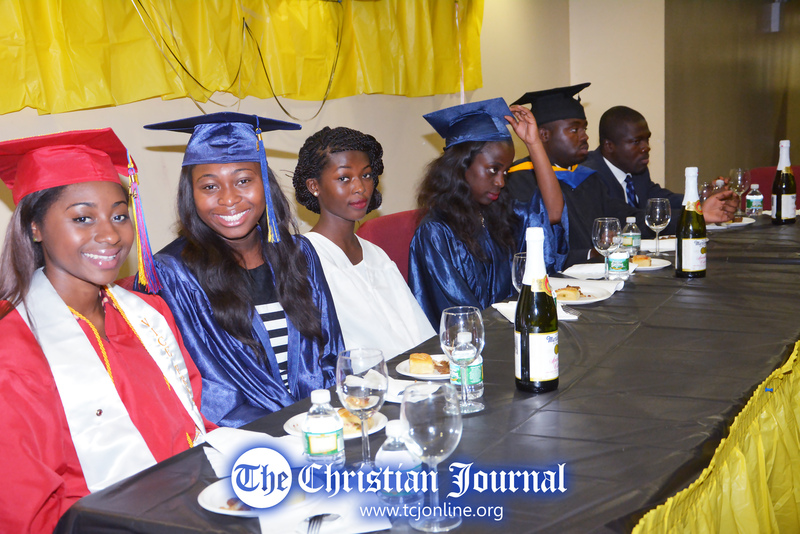 On July 5, 2014 the Resurrection Young Adult and Youth Ministries celebrated our fourth annual graduation ceremony at the Resurrection Power and Living Bread Ministries (REPLIB) located in the Bronx. at 4132 Park Avenue. What started three years ago has blossomed into a meaningful and substantial event that is revered at REPLIB. It is worth emphasizing that the resident Pastor, Rev. E . K Asamoah and his deacon board have taken interest in this event as it has shed light on the intellectual endowment that God has given to the student body in the congregation. Three years ago, we the youth group decided to put on an event that celebrated the accomplishment of the recent high school graduates on track to going to college or a trade school as well as the college graduates. Purposefully, this event is meant to first and foremost highlight the accomplishment of those being celebrated as they recant on their remarkable educational careers so far. The honorees for the 2014 celebration were four high school graduates (Alfreda Amponsah, Chelsea Nkansah-Siribour, Josephine Opoku and Keisha Osei), three college graduates (Ken Boateng, Kwame Asumadu and Listowell Mensah) and two master’s degree graduates (Sharms Donkor and Sylvester Owusu-Afriyie). Sometimes, Christians overlook the grace of God in our educational pursuits. The Bible makes it clear that all good knowledge comes from above and God delights in success as it brings glory to His name. No one is a stranger to not performing well on a paper or test on which he or she has diligently studied. Yet through the ups and downs, God is utterly faithful and we often completes with passing marks. It is in this spirit that we celebrate this event. The MC, Kwabena Agyiri stressed on the need for all students in the congregation to acknowledge God as the fulcrum in all their educational pursuits. Moreover, we invited distinguished, inspirational and young guest speakers who are still pursuing advanced degrees or have completed their education and currently employed in their various field to share with all those in attendance about their educational career. Mr. Nixon Arauz, a young master’s degree candidate at Columbia University and Mrs. Gifty Adusei, a young pharmacist were the guest speakers at this year’s ceremony. The speakers emphasized on the critical roles parents play in the success of their children. It is not enough to simply pray for the child while they are in school but parents should take an active role in encouraging and assisting their children financially. If parents share in the dreams and visions of their children, they are eager to be involved in the child’s educational life and help make those aspirations a reality. Mrs. Adusei in her remarks highlighted the instrumental role her parents played in helping her to become an entrepreneur in addition to her career as a pharmacist. The youth at REPLIB are fortunate to be in a congregation that just doesn’t talk about assisting its students in their educational pursuits but actually put their words into action. At this year’s ceremony, 3 different scholarship schemes aimed at assisting high school graduates going to college for the first time were announced by Mr. Gyamfi Frimpong, the president of the Men’s Fellowship Ministry. The welfare scholarship one of the three that was announced is aimed at providing financial assistance to all high school graduates enrolling in a college or a trade school this fall. The other 2 scholarships, the Men’s Fellowship and the Moses Nkansah Siribour Memorial Fund Scholarships are merit-based awards that provide financial assistance and items like student refrigerators to its winners. At the closing segment of the program, the guests were invited to advise the graduates about pitfalls to avoid in life. One of the takeaways that have been heavily emphasized throughout the years with this year as no exception is to “take advantage of office hours and know how to wisely divide your time.” Sometimes, some college students make the mistake of comparing themselves to students of different majors and therefore failing to devote adequate time to their studies. For instance, a Political Science major is more demanding than a Sociology major and it is therefore unwise for a political science student to go about their day like a sociology student would. On the subject of office hours, this is the time to get to know professors and network with them. In this age, networking greatly affects chances employment, so college students should make it a priority to find a proven mentor who cares about their wellbeing. The entire ceremony and all the activities involved are designed to serve as a reminder to the congregation’s student body to take their education seriously. It is not a caricature to say that, history indicates, the present warns and the future depends on a quality education. Malcolm X famously said that “education is the passport to the future” and that prophecy is ever true in this century. While the roots of education can be bitter, the fruits are enjoyable. The church is committed to the intellectual growth of its members as some of the college students have in the past and currently help high school students prepare for SAT and ACT exams while helping them craft their college application essays. The annual celebration is a harbinger that the church collectively has an auspicious future and by the grace of God and diligent work, it could be brought into fruition. Posted in Blog on July 27, 2014.